Self esteem and ego are closely related, responsive to praise and criticism, and deeply involved with self confidence. 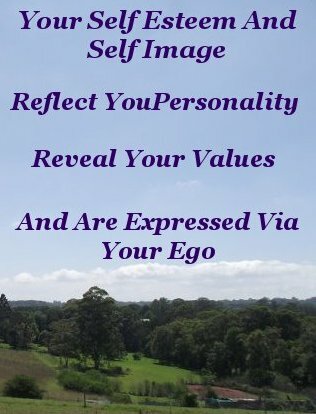 Your self esteem and self image reflect your personality, reveal your values, and is expressed via your ego. Together, Ego and Self Esteem compose your Self Image. When these two are healthy, you are ably confident, agreeable, willing, capable, and to a great degree, self reliant. And you will pursue and implement all the top shelf Human Qualities these attributes imply. This ideal attribute combination consolidates your well-being, and contributes to the over-all prosperity of society. The bad news is that this is very much a hit or miss affair. Self image in the majority of individuals is formed mostly unconsciously. Composed of and built up from our thoughts, perceptions, experiences, actions, and desires. From birth to the present moment. In particular our engagements and interactions with others. How they treat us, and our response, or as is often the case, our reaction, to that treatment. Being subconscious means the image we project is automatic, that is, habitual, with little or no purposeful input by the possessor. Frequently heard exclamations such as “That's me mate, that's what I'm like”, emphasizes the self limiting beliefs and broad lack of knowledge towards the possibility of change. Not being aware that we can take charge of our self image is a distinct hindrance to our own well-being in particular, and that of society in general. The good news is that this image we project can be modified and changed consciously, to reflect the qualities of character one wishes to display. Although this new image is still executed subconsciously, we can retain our new-found conscious awareness of our behavior. 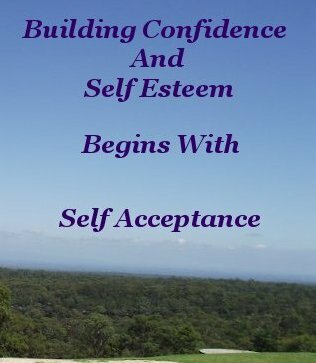 Building confidence and self esteem begins with self acceptance. Just as we are, including our prejudices, bias, fears and foibles, and a recognition of our inherent strengths, abilities, and potential. With a clear picture of who we are and what we stand for in mind, we then have the option of changing or modifying any part of this mix that we have the audacity to begin and the stamina to follow through on. Self esteem and ego accentuate the spiritual side of our nature. Nourishing our spiritual side is as essential to our general health, productive functioning, and self fulfillment, as is sustenance for the material body. 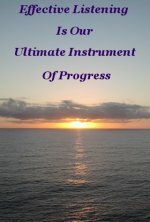 The capacity, for attaining, and sustaining, spiritual nourishment, follows a realization of how our current self image was formed, and the understanding that we can change and modify it at will. Using the exact same media that produced the original. It appears to be in keeping with Nature's modus operandi that anything worthwhile has to be determined consciously and worked for. A price must be paid. Innate talent and ability require abiding attention, direction, dedication, deliberate intention, and fervency, to bring to fruition. Accordingly, Nature's requirements must be considered and implemented when building and maintaining self esteem and ego. Otherwise, left to chance, we will quite likely, at some time, experience the wretched effects of worthlessness. A person permitting himself to suffer low self esteem lays himself wide open to perceived attacks on his ego. Topping the list of clear indications of this invidious condition is in taking offense, being inclined to retaliation, and or maintaining a vindictive attitude and manner, ever seeking revenge. Perpetuating a defensive state of mind. Constantly living in a defensive state of mind not only seriously damages relationships, accompanied by unpleasant consequences, but places one's long term mental and physical health in jeopardy. And alienates Spiritual Succor. Defending oneself seems a natural reaction to a perceived attack, but the person who takes offense is as injurious as the person who gives it. A person giving offense on purpose reveals that he, too, suffers from an inadequate self image. This should elicit a compassionate response. And from an individual with healthy self esteem and ego that is exactly what happens. A person of adequate self esteem is living on a higher Mental Plane where the desire to hurt another does not exist. However, having said that . . .
No one is perfect, not even you or me. When we momentarily fall off the wagon of life, and an understanding other helps us to regain our equilibrium, we can express our gratitude for his or her expanded mind and tolerance. As much as we talk about influencing and directing our emotions, there will be times when the chemical balance in our brain will be out of sorts, creating stress. Perhaps caused by lack of sleep, and or exercise, food allergy or some other mechanical cause. 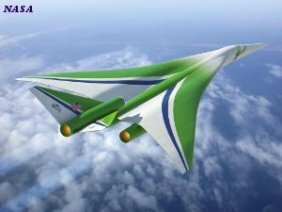 Even the best designed and built machines suffer the occasional hiccup. 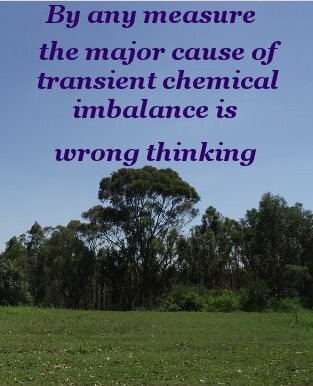 By any measure the major cause of transient chemical imbalance is wrong thinking. Transient chemical imbalance has the best chance of restoration by physical rest, meditation, and reflection. Accompanied by right thinking founded in the Natural laws of personal development. If appropriate, seek the attention of a knowledgeable, compassionate, switched on Mental Health professional. A professional who actively practices and promotes principles of Personal Growth, should be sought. Talking with and being listened to by trusted and understanding others is also therapy of an invaluable kind. Listening is something we can do for each other at the drop of a hat. My personal response mechanism for these occasions is a heightened awareness of my mood and attitude. In other words, Mindfulness. Developed by practice over time, this response mechanism allows me to monitor and direct both my Self esteem and ego, as a matter of course, using positive thinking to gently guide my brain chemistry back towards equilibrium. Doing this highlights the value of setting one's self aside of the ego, and observing, then adjusting, how we behave. Healthy Self Esteem and Healthy Ego Rock!